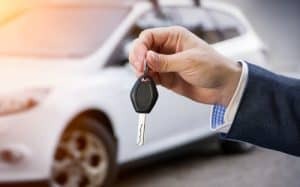 The British Vehicle Rental and Leasing Association (BVRLA) has published a new report highlighting the vehicle rental sector as being an essential part of the UK economy. According to the organisation, rental plays an increasingly important role in meeting the nation’s complex transport needs. The association’s Car and Van Rental in the UK report is based on six individual research projects. It brings together the data of more than 4,500 BVRLA customers and summarises both the present economic impact of the rental market, as well as its potential for future growth. BVRLA chief executive Gerry Kearney commented: “The vehicle rental sector has an annual turnover of over £5 billion, buys 400,000 vehicles per year and delivers flexible, affordable transport to millions of people and businesses. The report explains a range of transport initiatives that could benefit the UK in the years to come, including the reality of Mobility-as-a-Service solutions and how rental can help fill the gaps. It also examines the potential for vehicle rental to link with public transport investment and other shared transport modes to provide a viable alternative to privately-owned vehicles. Jenny Smith, general manager for Tele-Gence, commented: “Fleet operators across the country have a regular need to expand their offering to their drivers. As such, rental can play an important role in meeting the fleet operating requirements of many businesses.